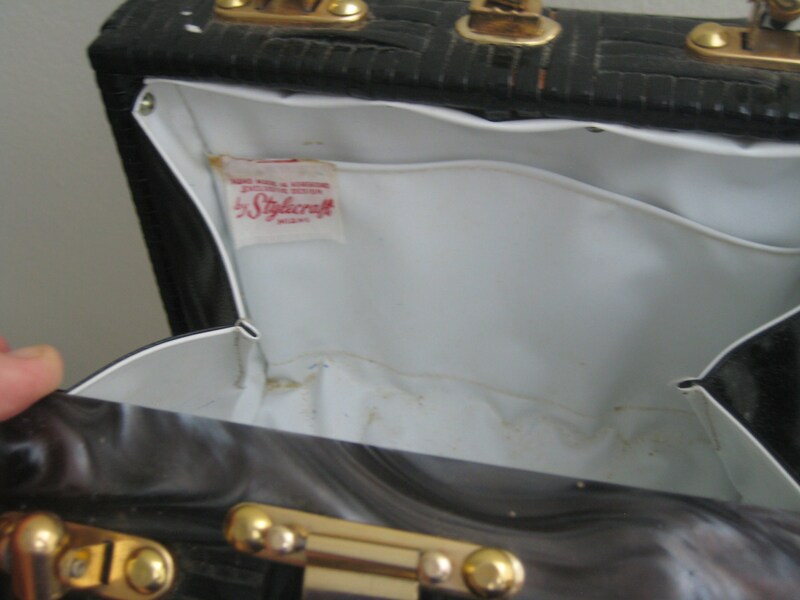 Perfect vintage box bag from the 60's! 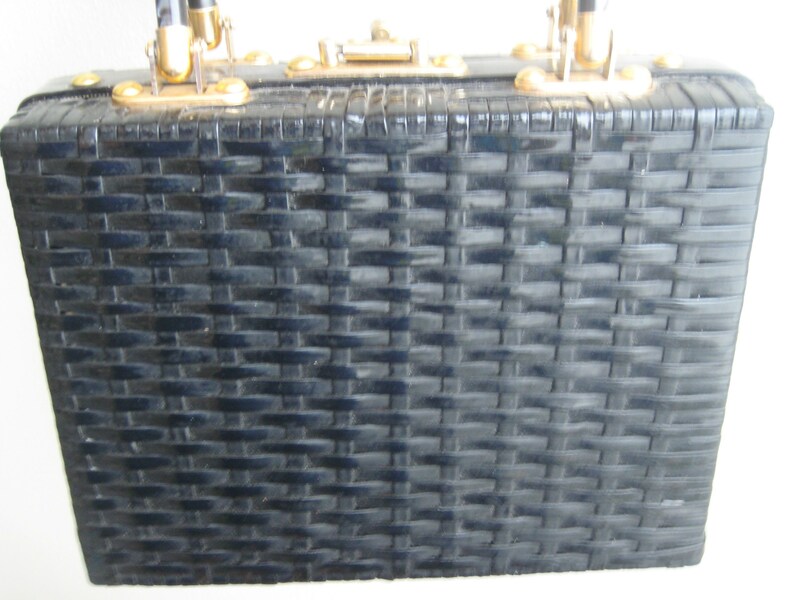 Square black vinyl wicker body. 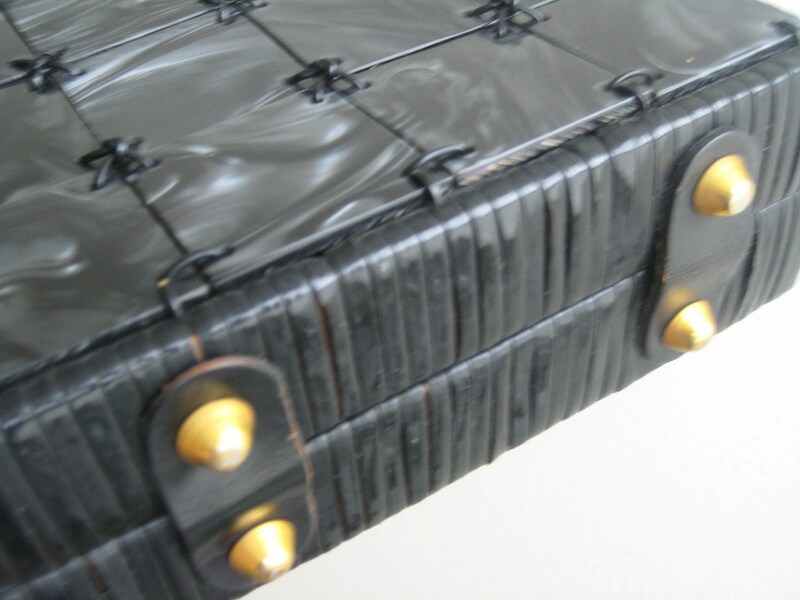 One side is covered with black Lucite panels that have a marble look. One of the panels has a small chip but is not distracting and does not impact the integrity of the panel piece. 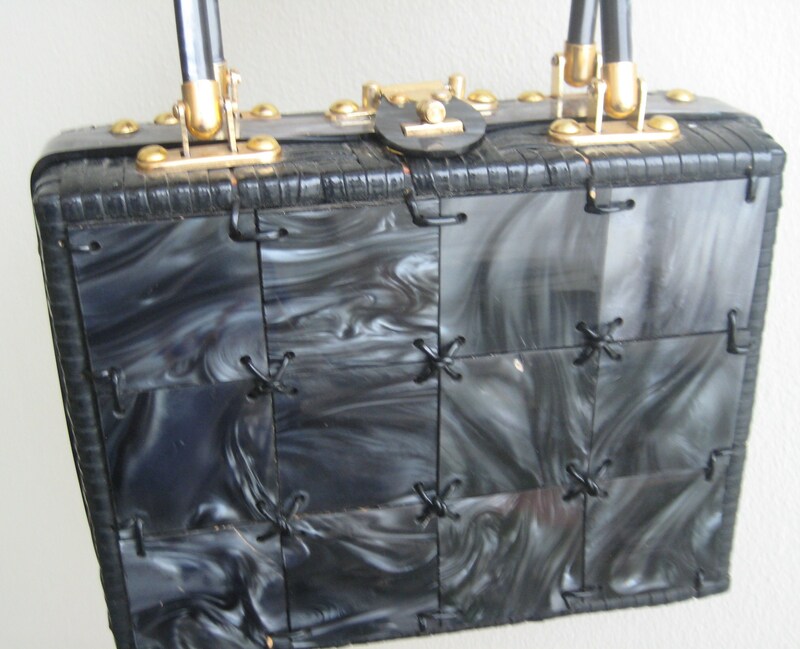 Matching black Lucite trim across the top with the keyhole closure. Black Lucite handles with a 4 inch drop. Gold tone metal attachments and original grommet footings. White vinyl lining in really great shape except for some pen ink marks in the bottom corner. One metal zippered pocket and one side slip pocket. Label reads "Handmade in Hong Kong. Exclusive Design by Stylecraft Miami." Dimensions: 8.5 inches long x 6.5 inches tall x 3 inches wide. 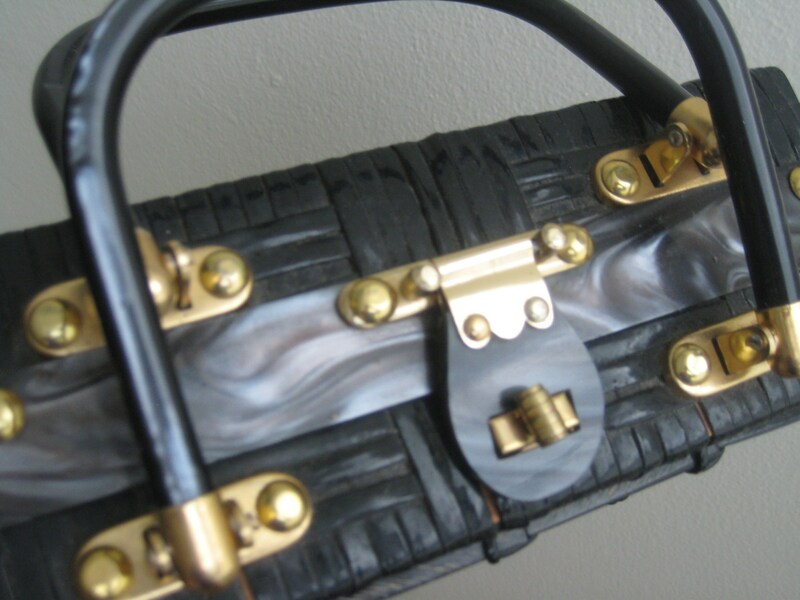 A really fabulous bag!